Actor Paul Marcarelli - known for his catchphrase "Can you hear me now?" - is free to take whatever role in a commercial he likes, Verizon said on Monday. 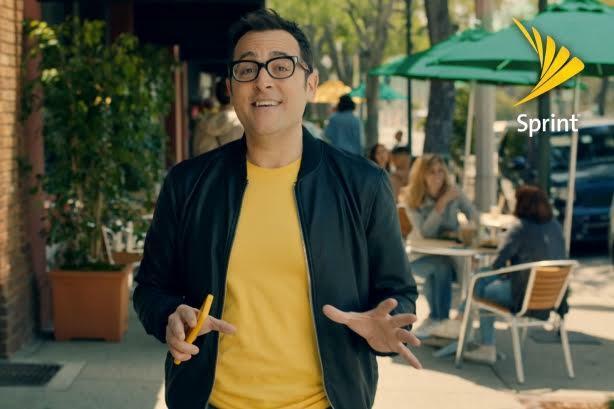 NEW YORK: Verizon isn’t holding a grudge after former pitchman Paul Marcarelli appeared in an ad for rival Sprint that debuted Sunday night. "[Marcarelli] is an actor that is certainly free to take whatever acting jobs come his way," said Cathie McCloskey, Verizon’s corporate comms director, via email. She added that Verizon’s network performance, as rated by J.D. Power, Root Metrics, and the company’s customers, "speaks for itself." Marcarelli, known for asking, "Can you hear me now?" in Verizon ads, has moved on to Sprint. His first ad for the Kansas City-based company debuted Sunday night during game two of the NBA Finals. Sprint’s ads go straight for the jugular, poking fun at Verizon’s marketing slogan, with Marcarelli stating, "Can you hear that?" after talking about Sprint’s benefits. Marcarelli further twisted the knife on Monday morning with a tweet knocking Verizon’s fees. Sprint also bought the promoted hashtag #TheSwitchIsReal on Twitter on Monday morning. Marcarelli is calling attention to Sprint’s vastly improved network and highlighting the savings it offers, the company said in a statement. Sprint’s analysis of drive-test data from Nielsen shows that Sprint’s reliability beats T-Mobile’s and performs within 1% of AT&T and Verizon, it added. "I’ve watched with interest as each of the wireless carriers claims to be the most reliable or the fastest," Marcarelli said in the Sprint release. "But what I’ve found is…the ‘better’ that some other national carriers claim about reliability is really less than a 1% difference. Does anyone even really notice a difference of less than 1%? But when it comes to saving money…Sprint is by far the best choice for consumers. You get a highly reliable network and save 50% off most of the rates other national wireless carriers charge."